Deedee's Digis: DOM Inspiration coming right up! Another week done in the month of July!! Geez at this rate Christmas will be here before we know it. 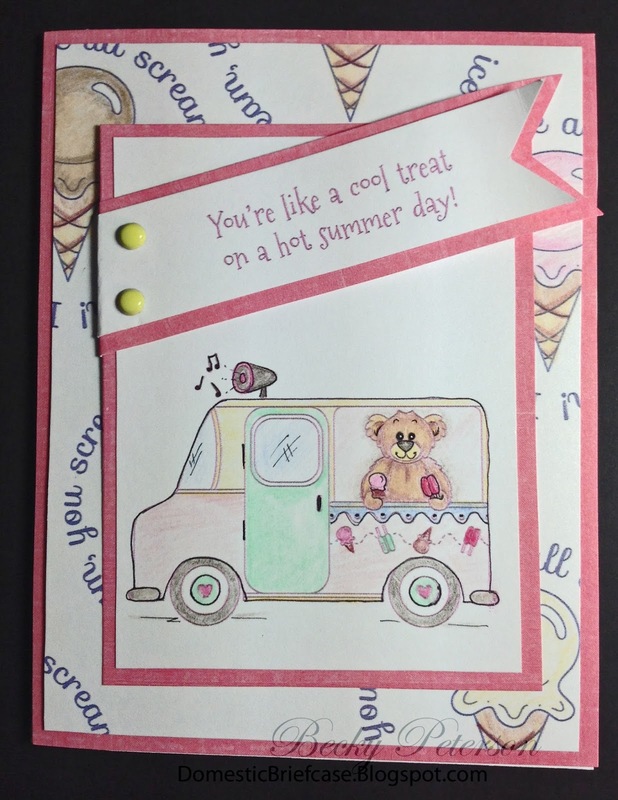 But before you make your Christmas Cards in July beat the heat with some Ice Cream!! That is what this month's digi is bringing to get you through the hot summer months. 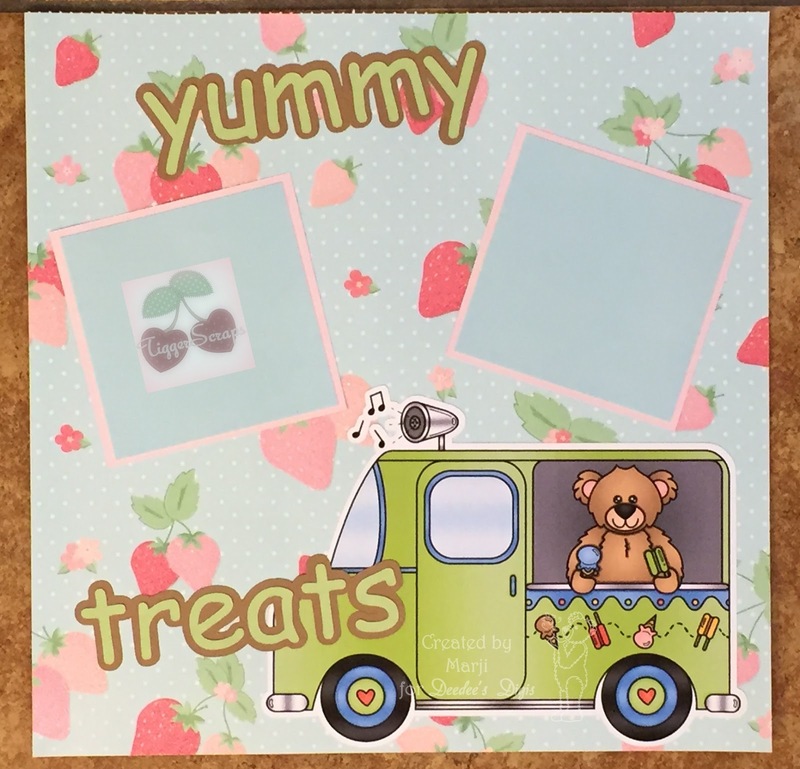 Marji is so talented that she made two samples with this set. This week we are showcasing the scrapbook page and next week we will show off her card. 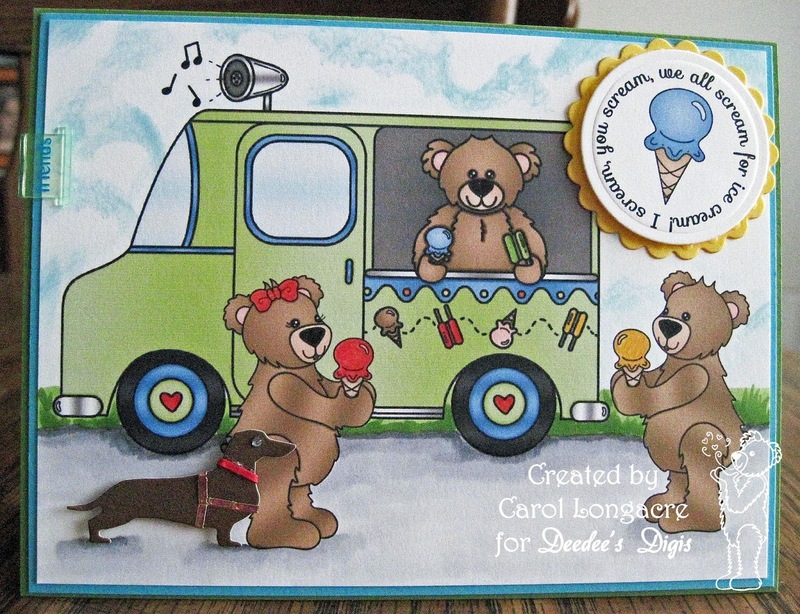 This page would sure inspire you to grab the camera next time your kids here the ice cream truck and beg you for money! Give in!!! Snap a few photographs of this even and it will make great memories for later on in life. You must click on this card to enlarge it so you can see all the details...clouds, sidewalk, shadows and the cute dog to finish off the scene! There is even a plastic "friends" embellishment on the left side that goes perfectly with the bears enjoying their ice cream together. A BIG Welcome back to Becky. She was on Deedee's DT awhile ago but has decided to come play with us again! Do check out out her blog because she does amazing work. This is just too cute in pastels...gives it a whole different vibe. I love how she did the saying on the angled banner...clever! If you participated in last month's challenge, you should have already received this set in your email. 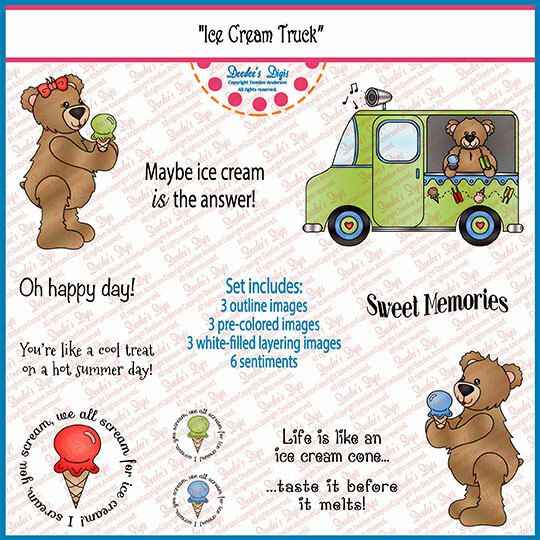 If you did not participate in last month's challenge, you can still purchase this set for just $1.25 this month at our shop. You can find it HERE . Now it's your turn! To join this month's challenge, please make any wholesome project using this set, and then link directly to your project using the linking gadget at the bottom of this post by 23:55 (11:55 pm) Pacific Time on Sunday, 2 August 2015. If you are inspired to make more than one project we would love to see them all...no limit on the number of times you can enter! You must make at least one project and link it up in the original post to get next month's featured set emailed to you.